© Time is Now, Yalla! 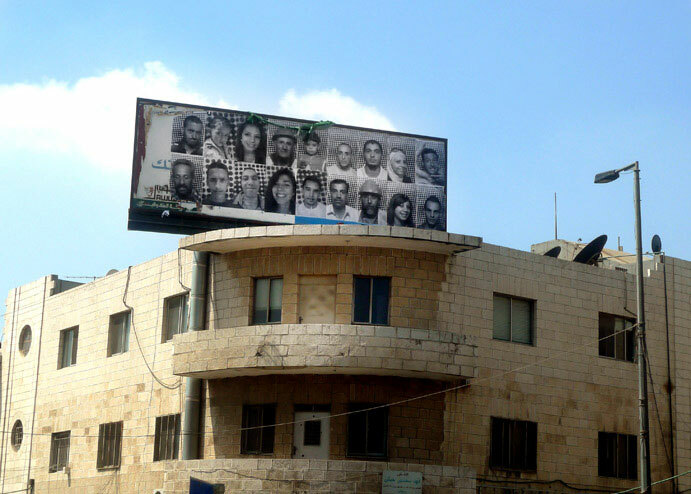 Giant billboards with smiling faces may not be something french photographer JR pioneered, but the secretive photographer did adopt the approach in a unique and meaningful way. JR rocketed to fame in 2008 with his portraits of women in Brazilian favelas enlarged to sizes capable of covering the walls and roofs where he pasted them - right where he shot them - in the slums. Based on this work, JR was granted the TED Prize which annually supports one person in their wish to help change the world. Recently JR and his team spent time in Israel and Palestine for their project Time is Now, Yalla! The photographer, his producer Marco Berrebi and their colleagues set up four giant photo booths and invited the tense neighbours to take a self-portrait and write a bit about themselves. The organizers would then print large black and white posters from the portraits for the residents to paste up around their city. 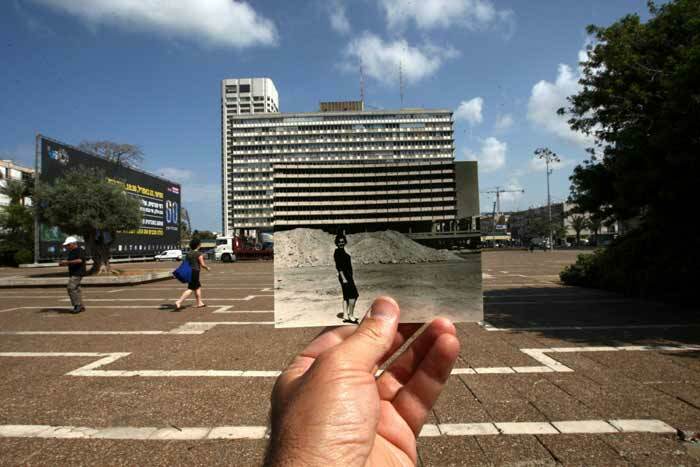 Time is Now, Yalla was photographed in Tel Aviv, Haifa, Bethlehem and Ramallah. The project is called Time Is Now, Yalla! because 'Yalla!' is an Arabic word used by both Palestinians and Israelis to say 'let’s go'." By now you have noticed GMEP has taken a summer holiday. It is not all rest though - we are working to relaunch a new and improved GMEP later this month. 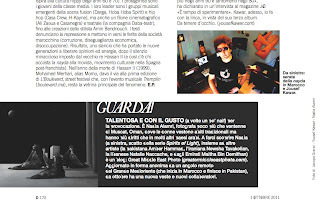 While we have been away from writing though, we have been getting some nice attention from the super giant and super stylish Italian magazine D la Repubblica who featured us (page 170) along with a photo by Omani photographer Nadia Alamri. If anyone can read what it says we would love to know. 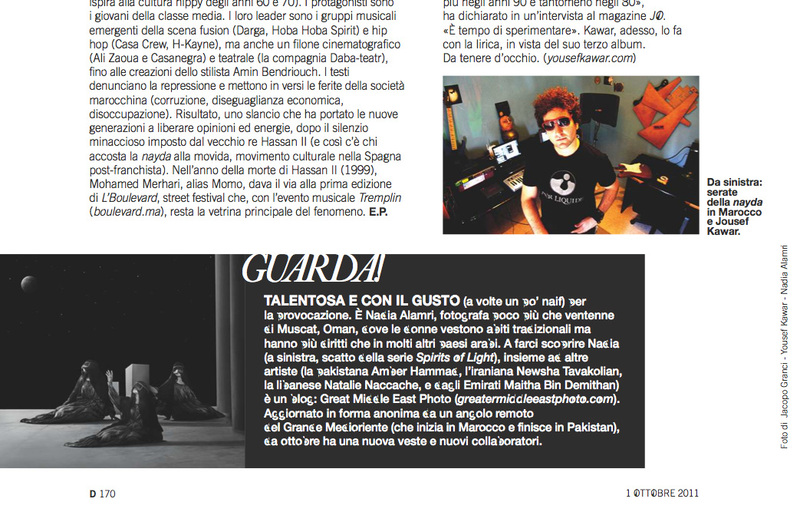 Famous German magazine STERN also contacted us a couple of days ago about the work of one of the other photographers GMEP featured so look for a Saudi photo artist to grace its pages soon. Please stand by, we will return. Ali Nadjian and Ramyar Manouchehrzadeh have individual photography practices, but it is in their co-created series We Live in a Paradoxical Society that they really excel. Alone, each of the Iranian photographers have dark and moody, staged images, and at times have seemingly both used the same panoramic camera - or at least presented their images in the same long horizontal proportion. Somehow, in coming together on We Live in a Paradoxical Society, the images become more successful, more mysterious and give just enough away to make you look longer and think more about what is happening with and to the characters in the series. 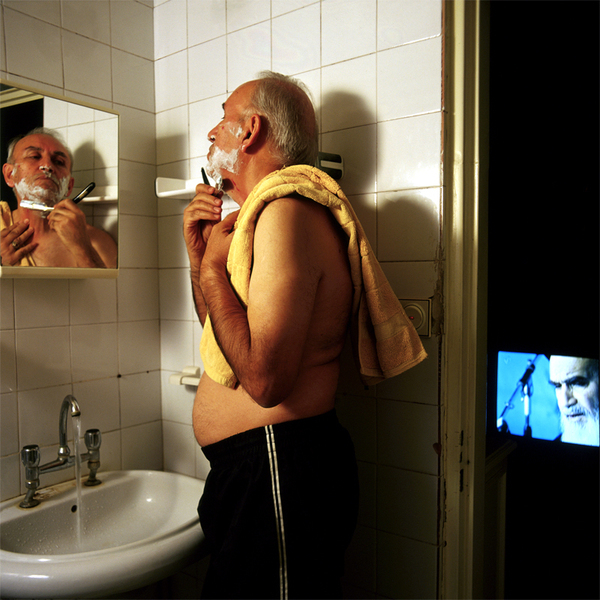 Created to illustrate the duality between home life and public life in Iran, Nadjian and Manouchehrzadeh explain in the series on Tehran photo gallery website Silk Road Photo. "Through these images, we aim to illustrate the output of this dual life in a constructed atmosphere which leads to fear and indifference. This collection has a narrative inside which is the result of our thoughts and necessarily there is no rule that sub narratives are happening in each image of it; meaning that no boundary can be marked between reality and imagination, or between a documentary image and a subjective one." 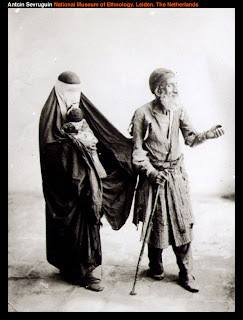 Antoin Sevruguin was a photographer in Iran during the Qajar Dynasty. Many contemporary Middle East photography fans will be familiar with this 1795 - 1925 dynasty through Shadi Ghadirian's reference of the period in her Qajar series which GMEP wrote about HERE. 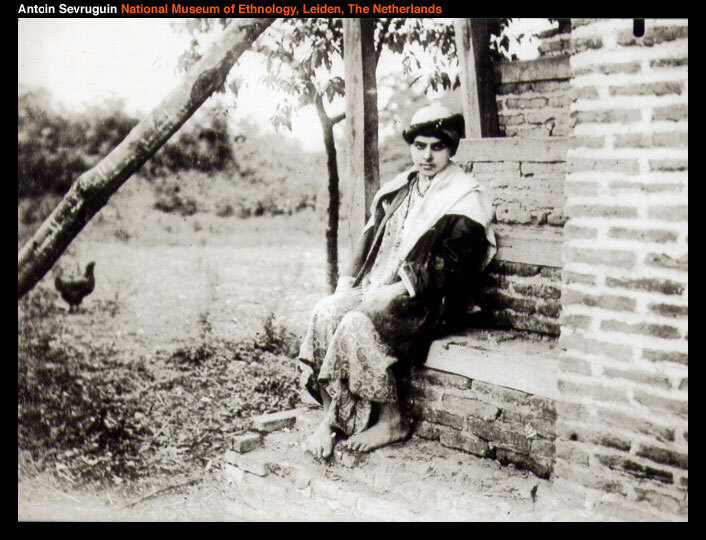 Sevruguin ran one of Tehran's most successful photo studios for about 65 years, ending at his death in 1933. 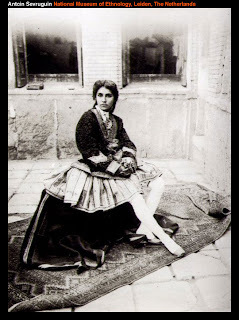 The decades the photographer was producing images cover the latter part of Qajar dynasty and the early Pahlavi Dynasty. Though also a photographer for the Imperial Court of Iran, Sevruguin's work covered a wide range of subjects from portraits of blind men and beggars to wealthy upper class citizens as well as landscape and social-documentary images. The images shown here (via Iran.com and the National Museum of Ethnology, Netherlands) are from the book Sevruguin and the Persian Image: Photographs of Iran, 1870 - 1930. For more images see HERE and for biographical information on the photographer see HERE. 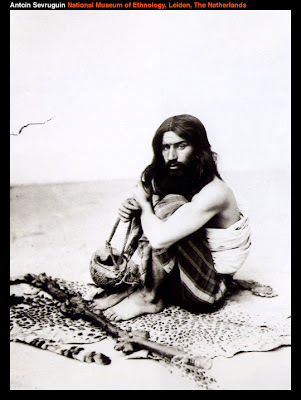 There is a podcast on Sevruguin and 19th century Iranian photography HERE. 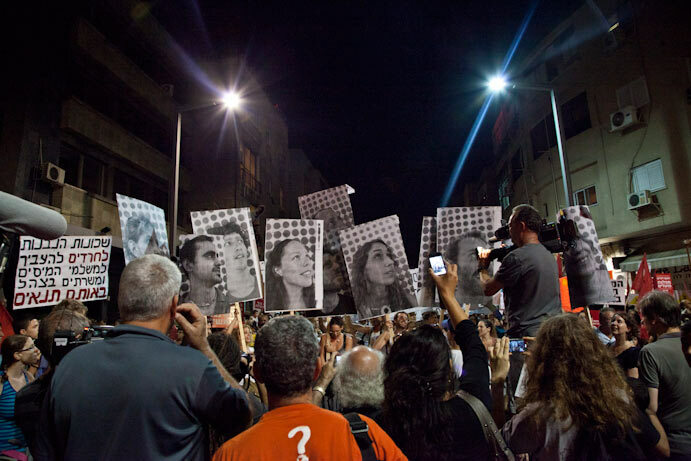 With the unfortunate news that World Press Photo closed its Beirut exhibition early due to protests over the inclusion of Israeli photographer Amit Sha'al's work, the series has now been thrust into the spotlight even more than that afforded it by its inclusion in the prestigious touring exhibit. The work was originally made for the weekend magazine Calcalist. 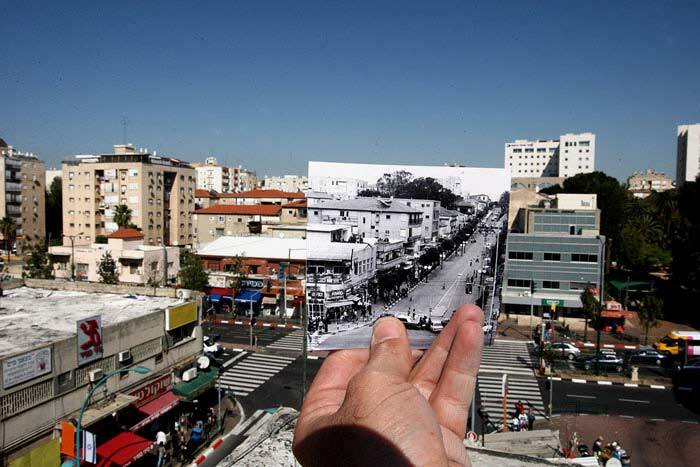 Sha'al took the series of images – titled Altneuland (Old-new land) – by sourcing photos taken between 1926 - 1979 in what is now Israel. He then located the exact spot they were taken from. "I held the photos in front of me and shot a wider photo. The colored 2010 reality continues where the black and white photo ends. 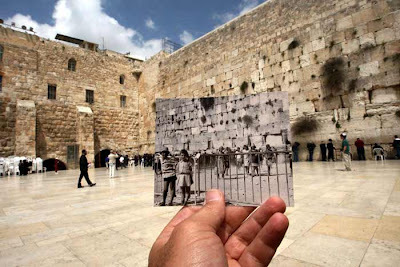 In some places, it seems nothing has changed, but in others, the buildings have changed their purpose and the black and white people are planted strangely in today's reality." says Sha'al explaining the process. 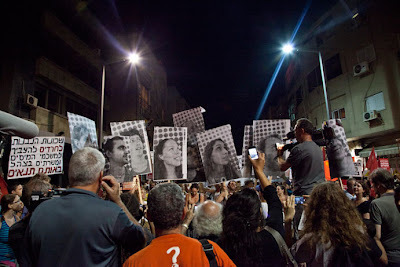 "Closing the exhibition in Beirut was a shame" the photographer continues. "They wanted me out of the exhibition not because who I am or what my work shows. The World Press Photo exhibition contains a lot of political content, and there's no need to involve external politics. Yes, I live in Israel and I'm an Israeli photographer, but I represent only myself and the paper I work for, and for sure not the Israeli government, which I oppose." 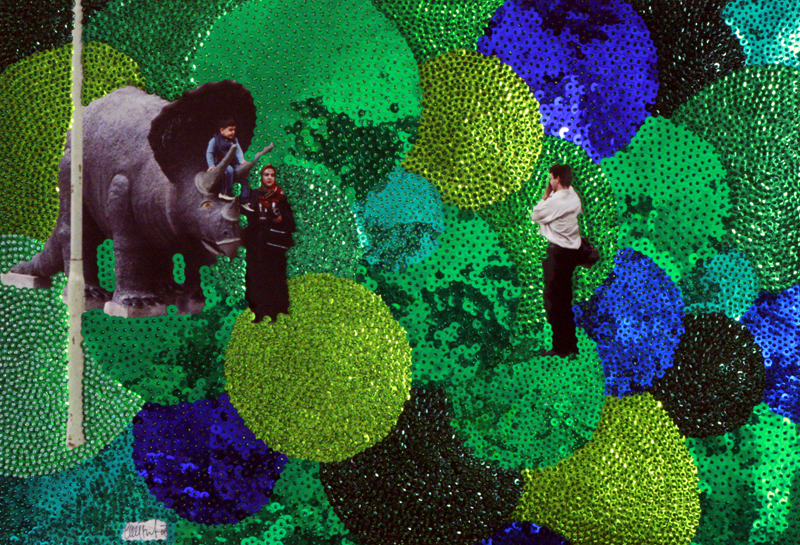 If the work is political, visually at least, it is ambiguously so. The images are about the passing of time and changes between the 'now and then'. Of course, a lot has changed between now and then in the territory the images are taken and it is hard for anything concerning Palestinians and Israeli's not to have political undertones. Reasoning why the protests against his work began, Sha'al says "It was just because of the words 'Amit Sha'al, Israel'. This likely is true but for those who looked into the meaning of the work's title, there may have been more to it. As Sha'al tells me, "The series' name, 'Altneuland' (Old-New Land), refers to Theodor Hertzl's book from 1902. It is a story of an Austrian and a German sailing to a Pacific Island. On their way, they stop in Palestine. After 20 years on that Pacific island they head back to Europe and stop again in Palestine. They discover a land drastically transformed, showcasing a free, open and cosmopolitan modern society, and boasting a thriving cooperative industry based on state-of-the-art technology. In the two decades that have passed, European Jews have rediscovered and re-inhabited their Altneuland, reclaiming their own destiny in the land of Israel." Regardless of the photographer's nationality, the title of the work, or where the work was photographed, this ultimately reflects poorly on Lebanon and is most significantly a loss for those living in Lebanon for not being able to see the world famous exhibition. 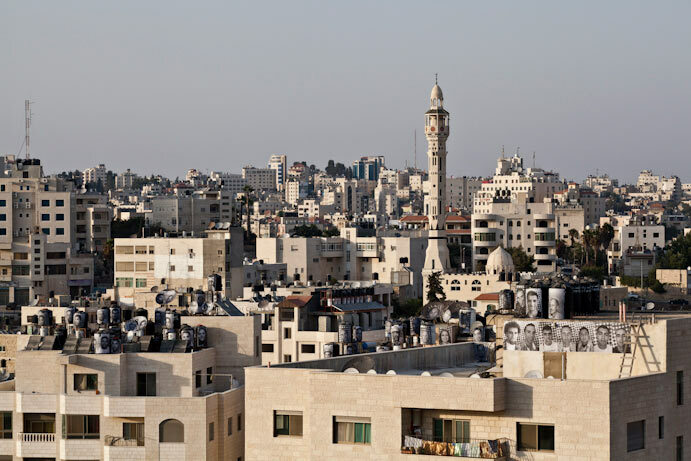 Without the opportunity to see the work for the intended duration of the show, many Lebanese, Palestinians and others living or visiting the country, are not given the courtesy to judge the work for themselves. "Unlike Hertzl's book..." Sha'al says "...this series leaves the commentary in the viewers' hands." Perhaps not surprisingly, most people GMEP spoke to in Lebanon felt the work should not have been protested. "And anyway," Sha'al points out "in these days censorship is ridiculous, when everything is accessible on the Internet." 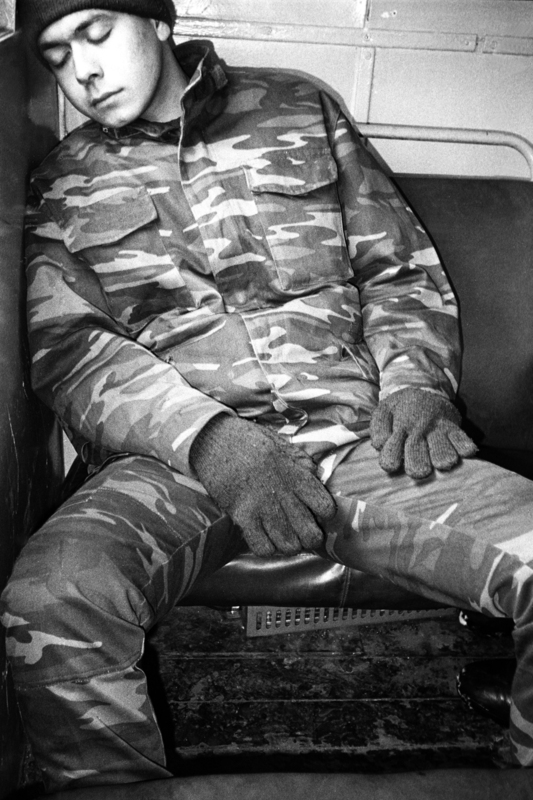 "This is a kind of diary about a lonely man in the army. Not a journalistic work. This book is about me and my loneliness and missing life. You can understand my feelings about army." This is how Rec Collective member Selim Sume describes his series and book 289KD. 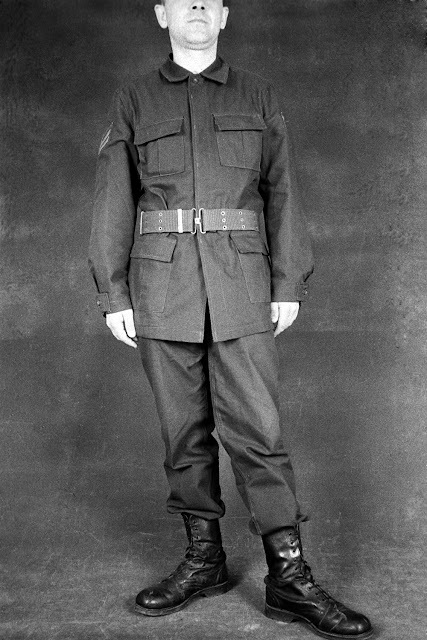 Photographed nine years ago during his eight months of mandatory service in the Turkish army, the black and white photos are candid remembrances accompanied with pieces of text from his journal. 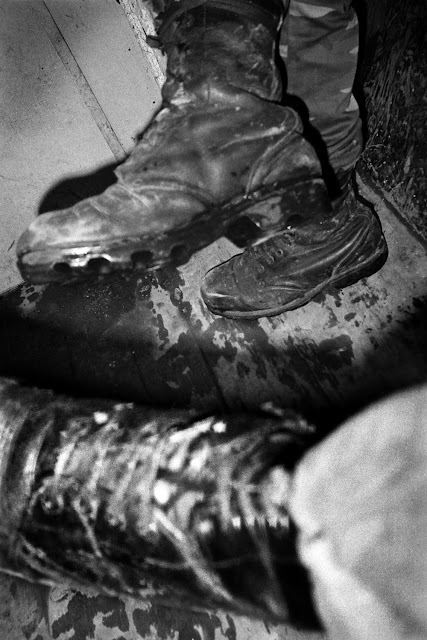 The images are tight and somber for the most part. The settings and environments are secondary to the people and the things. 'Suffocating' and 'claustrophic' seem appropriate descriptions for both the photos and for Sume's eight months of loneliness in the Army. Sume's book 289KD is available from bookstores in Istanbul such as Robinson Crusoe, Pandora and Homer. Bandrolsuz will sell 289KD at select events and openings. Sume will also be part of PhotoMed Sanary festival from May 27 - June 19. 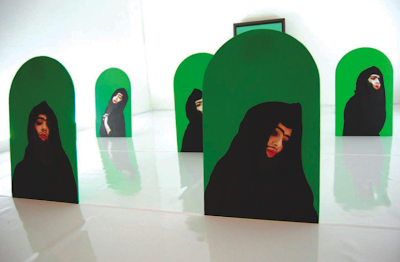 The work of Senegal born Kuwaiti Monira al Qadiri is reminiscent of Byzantine paintings. The warm colours – golds, yellows and browns – the halos around the heads, the combination of photography and paint – and even the wardrobe of these self portraits – work together to create images that look like they come from the 10th century rather than today. Of course, if you look more closely, key differences become apparent. For example where you might expect to see Christian white men, you instead see a bearded Muslim woman – Al Qadiri. Using Christian iconography is uncommon for a Muslim artist, and playing with gender roles is probably even more bold – especially for a Muslim woman. 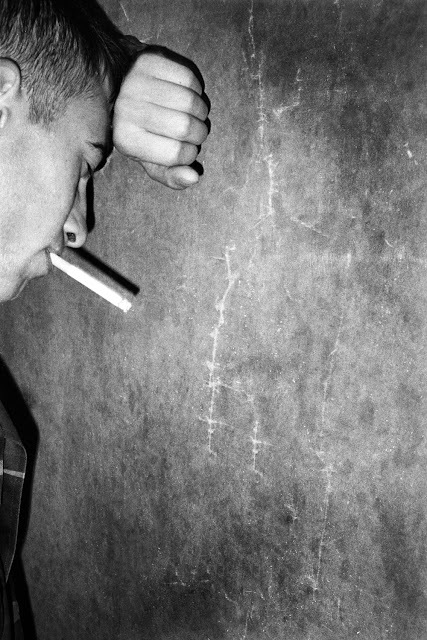 In this series of works, this tragic cycle of narcissism is expressed through the use of photographic self-portraits; many of them being saint-like and androgynous, with melancholic expressions, fragmented into many parts. By actively participating in the conceptual structure of her work, the artist wishes to convey that she too is not outside the cycle, reinforcing the sense of vulnerability by posing herself as the tragic subject." The sequined photographs of Sissi Farassat can't help but recall the work of fellow Iranian artist Farhad Moshiri. Like Moshiri's art, Farassat's work has an element of kitsch infused in it. Kitsch can be overpowering and can easily overshadowed the substance of an artwork. Farassat has so far avoided this pitfall. 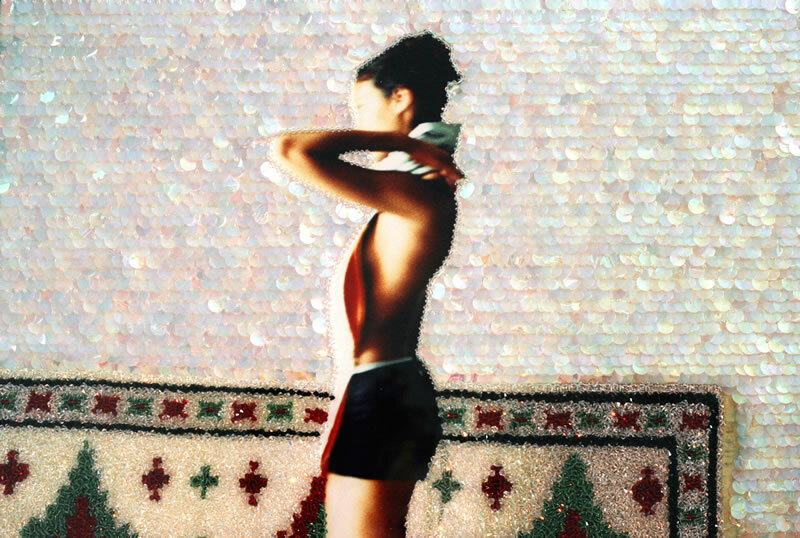 Using self-portraits, family photos and pictures of strangers, Farassat hand sews the sequins over the entire image, with the exception of the main subjects. Sequins posses a duality that allows them to have both extravagant and cheap connotations. These photo based artworks also take on a duality of being hand crafted and covered in glamour, but not escaping the kitsch that covers most of their surface. The feminine material and the act of sewing puts this work in the territory of gender based art. It also becomes a photo-as-an-object and is as much about the preciousness of the item as it is about the content. Farassat created other sewn pieces, notably sequined passports, which of course are also precious objects – with or without the added sequins.